The Gas Sensor Board is designed to work in conjunction with one of the gas sensors listed below (not included) allowing you to determine when a preset gas level has been reached or exceeded. 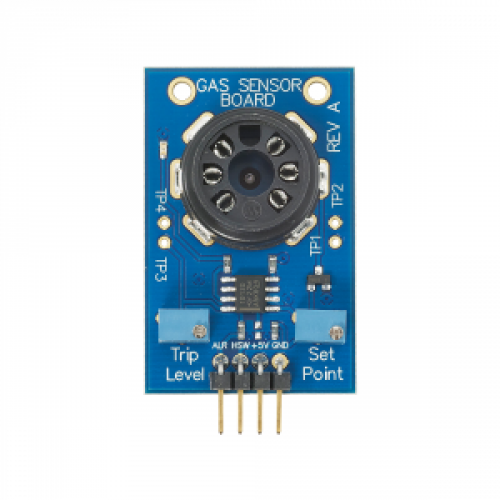 The gas sensor simply plugs into the Gas Sensor Board, making it easy to use these sensors in embedded projects. The board can interface to a microcontroller with only two I/O pins, allowing the sensor to be controlled and monitored automatically.